For the last two weeks I’ve been off on vacation and it was great. But summer is fast ending and it’s time again for things to return to their normal course. Part of that is the return of the Face of the Day. 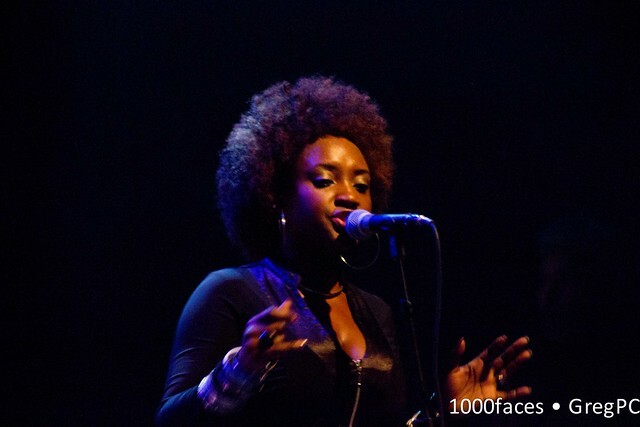 Today’s face is of a backup singer for Stephen Marley, taken at the House of Blues in Boston two years ago. Wendy has always been a big reggae fan and we go to shows when we can (which is less often than we’d like). In 2011 we went to this show at the HOB. It was a lot of fun. What I like about this picture is the color. The purple and orange on her face and the halo of her hair looked so good.